The stable superstar! Ritchie, or Snowman as he is often known, is an amazingly talented athlete. His superb jumping, lovely dressage and quirky but kind personality make him a favourite for a lot of people, especially Clarke. 5th place at Badminton Horse Trails in 2016 secured their place for the Rio Olympics, the highlight of Clarke’s career to date, where they placed 6th individually and best of the Kiwi team. The next big focus for Ritchie will be the WEG in America in 2018. Ritchie also show jumps to Grand Prix level. Bryn started his career eventing in England where he placed 5th in the prestigious Burghley Young Event Horse class in 2013. He also won the New Zealand 1star One Day Eventing Championships in 2014 when Clarke returned to NZ. In 2015 he switched codes and began to focus on show jumping and has progressed to Grand Prix level easily. This season Clarke is aiming Bryn for the NZ World Cup Series. The most prolific winner on the team by far! Zac had his first big wins as a 5yr old winning both the 5yr old Show Jumping Horse of the Year and the Pre Novice National Eventing Championships. 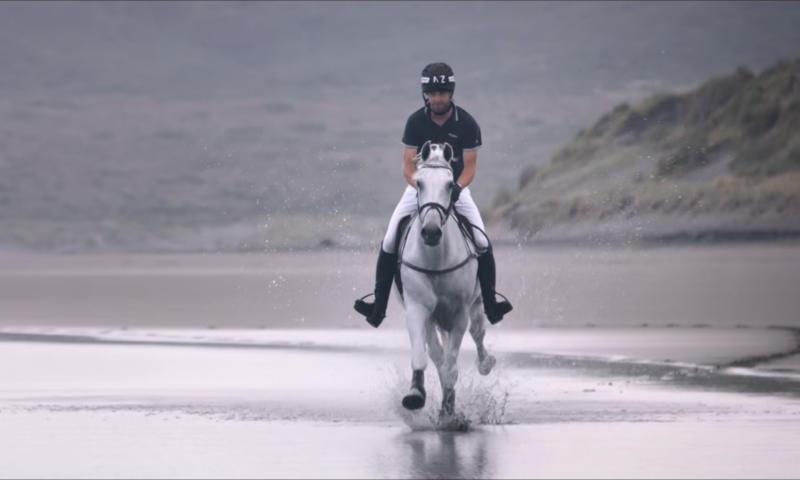 He has won four CIC* classes including the National Championships this year and was 2nd in the National Three Day Eventing Championships in May. Zac also jumps up to 1.35m and 7yr old show jumping classes with lots of wins and places. Clarke is aiming to step Zac up to 2star at the beginning of the coming season and to jumping smaller Grand Prix although he is unfortunately for sale. A beautiful and talented mare, Dolly has been lightly competed since arriving in NZ in late 2016 after being sourced in Holland by Sean Cubbit. The 7yr old show jumping series will be her focus this season and Clarke has high hopes for her future as a Grand Prix horse.